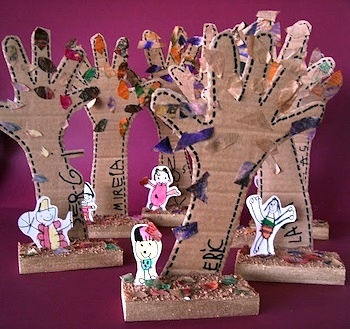 These adorable 3D Handprint Trees are made from cardboard and tissue paper. A fun fall craft the kids will love. Also makes a wonderful keepsake gift!